ORANGEBURG, S.C. – Ashley Fields scored five points down the stretch and Deja Dickens fired in a career-high 24 points as the Claflin University Lady Panthers knocked off nationally ranked Virginia Union, 62-59, Thursday (Dec. 6) at Tullis Arena. With the win, Claflin improved to 4-1 in the Central Intercollegiate Athletic Association (CIAA) and 6-4 overall. Fields, who scored the Lady Panthers last five points, finished the game with a double-double of 15 points, 12 in the second half, and 10 rebounds. Also scoring in double-figures for Claflin was Dashia Jackson with 14 points. For the game, the Lady Panthers knocked down 10 three-pointers with Dickens contributing leading six to tie a career best. She previously had six in a 21-point performance against Shaw University (Nov. 24). Virginia Union, which entered the contest ranked 5th in the D2SIDA Women's Basketball National Poll and unbeaten, dropped to 8-1 overall and 0-1 in league play. Shareka McNeill led Virginia Union with 19 points. In the fourth quarter, the lead changed hand several times until Shakarri Mack put Claflin up for good at 57-56 with 1:41 left. The Lady Panthers held off Virginia Union down the stretch by scoring five of the last eight points. Claflin outscored Virginia Union 19-17 in the quarter. The game was tied twice in the early goings of the third quarter, before Rejoice Spivey hit a three-pointer at the 5:02 mark to put Virginia Union ahead at 34-31. Virginia Union increased its lead to 42-33 at the 2:33 mark, only to see the Lady Panthers pull to within 42-41 by the end the end of the quarter. "It was a great win for our program," head coach Revonda Whitely said. "Our ladies played tough and willed the win. Virginia Union is a great program and I am a big fan of Coach Gilbert." Whitley continued, "What she does with her team and program is exceptional, so to win against that caliber of a team is definitely a huge win for the Claflin Women's Basketball Program." In the opening quarter, Fields tip-in tied the contest at 7-7 with 4:53 showing on the clock. That would be the only points scored by the Lady Panthers until Dickens hit a three-pointer with 30 seconds left in the quarter. Between the Claflin scoring drought, Virginia Union reeled off nine unanswered points to lead 16-7 at the 1:50 mark. Dickens basket ended the Virginia Union run as the Lady Panthers trailed 16-10 heading into the second quarter. In the second quarter, Virginia Union increased its lead to 26-13 with 6:43 left in the quarter on a layup from McNeill. Virginia Union would see its 13-point lead reduced to a tie at intermission off a 15-2 run by the Lady Panthers over the last six minutes of the quarter, pulling even at 28-28. Claflin hit four three-pointers in the quarter and outscored Virginia Union 18-12. The Lady Panthers will travel to Saint Augustine's University on Saturday (Dec. 9) for a CIAA rematch in Raleigh, N.C. This is GREAT news! Finally I can buy quality apparel from my school’s bookstore! And our student athletes will wear uniforms that don’t all look the same! The prayers of many HBCU fans have finally been answered, or at least, soon will be. The CIAA, SIAC and SWAC will soon be sporting new uniforms as Russell Athletics is getting out of the uniform business. The apparel supplier announced its change in direction in a press release on Thursday, proclaiming the immediate discontinuation of team uniforms. “For over 115 years, Russell Athletic has provided quality apparel for athletes both on and off the field of play,” Scott Green, Russell’s Senior VP for Brand Management, said in the statement. “We are proud of our heritage, but to build lasting relationships with a new generation of athletes, we need to focus our efforts and play to our strengths. Russell currently owns approximately three-fourths of the HBCU uniform market, so this shift will be a seismic one. Currently, the MEAC is the only conference of the four in the NCAA that has parted ways with Russell. That relationship ended in 2016, first reported by HBCU Gameday. Most of its teams now wear Nike, while Morgan State wears Adidas and Hampton and Howard are outfitted by Under Armour. “Today we will begin to transition away from the team uniform business to allow greater emphasis on the consumer retail market,” Green said. For years there have been complaints among HBCU football fans that teams were settling for subpar uniforms with Russell. A year after the MEAC made its split, schools in the other three conferences will be wearing new digs soon as well. The question is will the conferences continue to move as one, or like the MEAC, allow teams to negotiate their own deals? Nike is already the footwear provider for the remaining conferences, so it may have the leg up when it comes to picking schools and conferences to target. Either way, things are about to get very interesting. 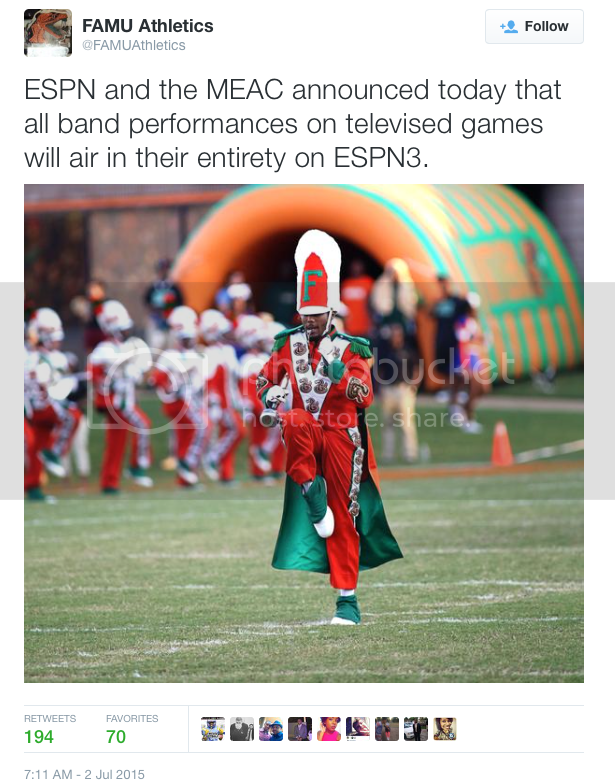 This was posted on the official Talladega College Band's Facebook page a few hours ago. I downloaded it to YouTube just incase it gets removed from Facebook. The whole video is strange but the good part starts at 2:21. Hephzibah, Ga. – The Claflin University softball team scored five runs in the final two innings en route to capturing the Southern Intercollegiate Athletic Conference (SIAC) title, Saturday (May 6) at Diamond Lakes Regional Park in Hephzibah, Ga. The Lady Panthers won four straight games in the tournament en route to capturing the school's first-ever SIAC softball title. With the championship, Claflin (33-18), receives the SIAC automatic berth into the 2017 NCAA Division II Softball Regionals scheduled for May 11-13. Pairings for the tournament will be announced via the NCAA.com website on Monday, May 8 at 10 a.m. Miles finished the season with an 18-28 record. "It's been a long year and we've worked hard to get to this point," said interim head coach Marty Kinard, who was named the Tournament Outstanding Coach. "I can't say enough about the job Tiaria Norman did for us especially coming off the struggle against West Georgia in our last doubleheader, she did great for us this weekend." Norman, the tournament's Most Valuable Player and All-Tournament Selectee, was the winning pitcher, going all six innings with seven strikeouts. Sophomore Shaquailla German, a member of the All-Tournament Team, went 3-for-4 with a run and a RBI to lead Claflin. Senior Chelsea Hall, also a member of the All-Tournament Team, finished the game with two hits, both triples, five RBIs and a run. "The seniors took on a leadership role midway thru the season and have lead by example on and off the field since," Kinard said. "Senior Kayla Sanderson was really big for us, as she doesn't normally hit but due to injury to one our starting hitters she was forced to hit and came up big." Sanderson finished the game with a double, a run and three RBIs. Miles was led by Kendruena McPhearson with two hits with two runs and a stolen base. Jakari Suggs was the losing pitcher for the Golden Bears. Miles placed its first two batter on the pads via a walk and bunt single and both runners scored by virtue of throwing error by Claflin first baseman. Miles scored two additional runs to take a 4-0 advantage into the bottom of the first inning. Claflin did not hang their heads. With two outs in the bottom of the first, Chelise Morman stepped to the plate and hit a homerun to right centerfield in the bottom of the first to open the scoring for the Lady Panthers. The Lady Panthers offense began to click on all cylinders in the bottom of the second. German led off the inning with a hit to third base and Claflin placed its first four runners on the pads before an out was recorded. The Lady Panthers put up five runs off two hits and three Miles errors to take the 5-4 lead. The Golden Bears got one of the runs back in the top of the third as McPhearson scored off a RBI single by Kathryne Lambert. Claflin remained poised heading into the next inning. With two outs, the Lady Panthers drew two walks which put them in scoring position. Senior Kayla Sanderson hit a two-run double down the leftfield line to push Claflin ahead by three, 8-5 after three complete. "When we went down early I told the ladies, we've been here before and to remember we still have a lot of game to play," said Kinard. "We got the nerves are out of the way so now we are ready to play." Claflin continued to put the pressure on. The Lady Panthers tacked on four runs in the bottom of the fifth to take a commanding 12-5 advantage. After reaching base on a two-out double in the bottom of the sixth, Kayla Cato scored the winning run off an obstruction called on Miles third base. German was credited with an RBI single on the play. The Lady Panthers defense stayed solid over the final three innings of the contest holding the Golden Bears scoreless. Claflin University has raised more than $105 million through its five-year, ‘Imagine the Possibilities’ capital campaign. Officials announced the achievement Thursday evening at a campus assembly, formally closing a fundraising effort that involved students, alumni and executives from start to finish, and exceeded its original goal by nearly $10 million. These are just some of the pics I found on Instagram. Keep in mind that these were all taken during actual games. 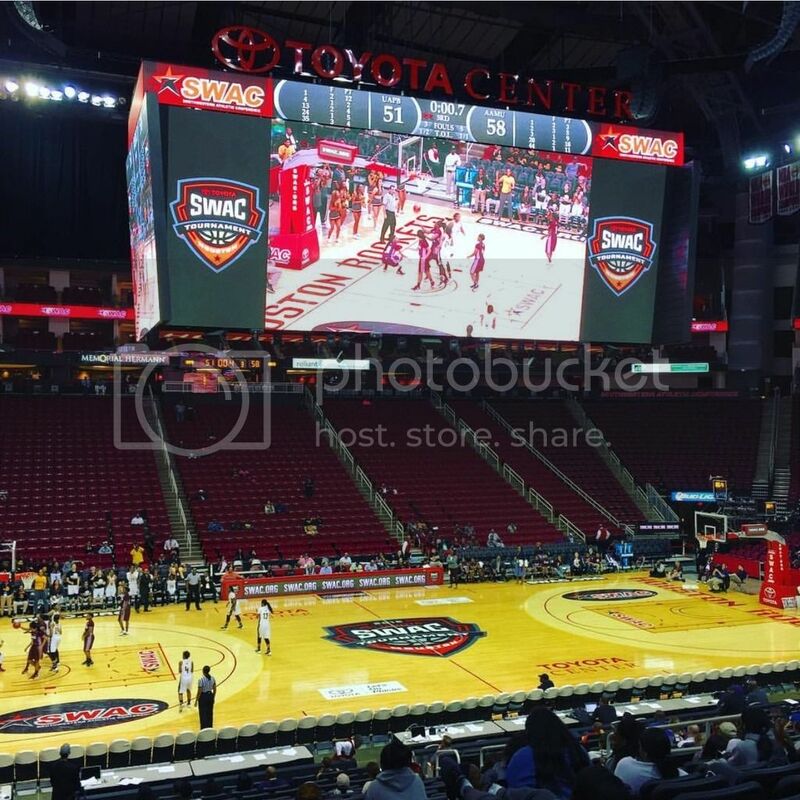 I don't know much about the SWAC, but it looks to me like this tournament should take place in somebody's gym and not an NBA arena. 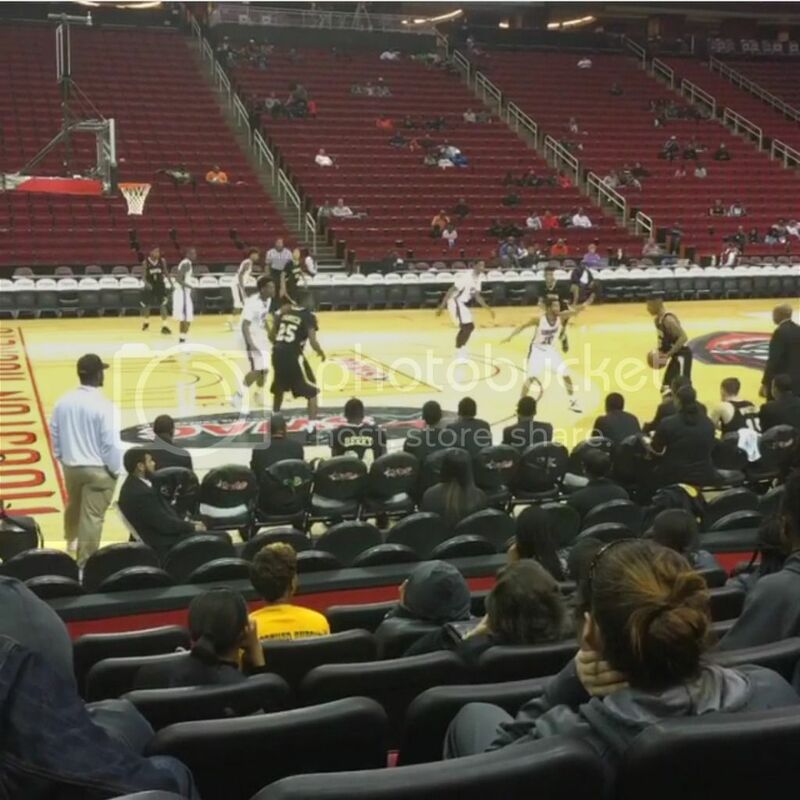 Why is it that so many SIAC schools never bother to bring their band and/or cheerleaders to the basketball tournament? 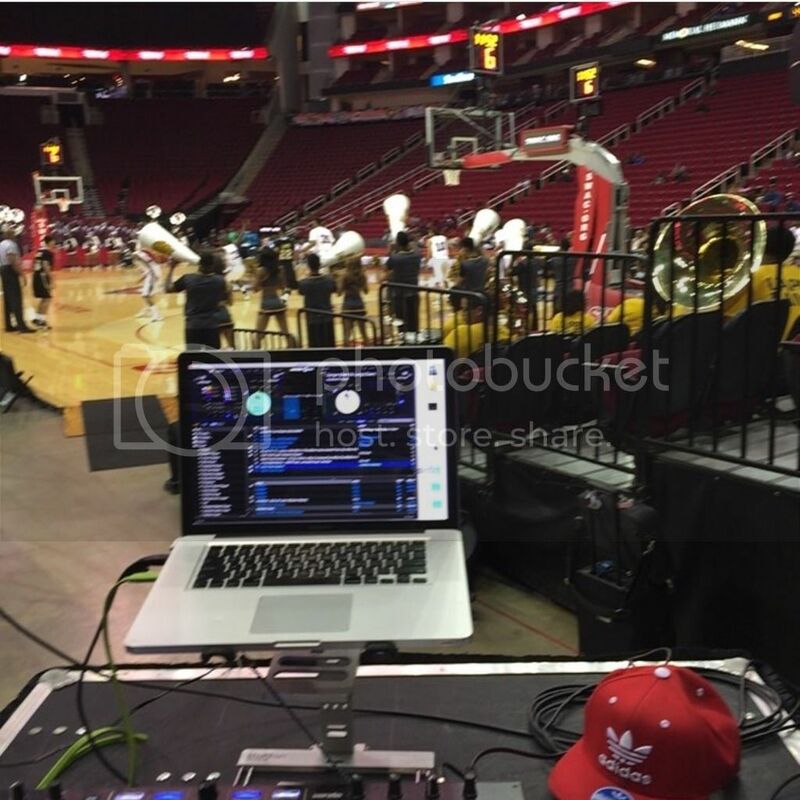 This isn't a problem at the MEAC, SAWC, and CIAA tournaments. 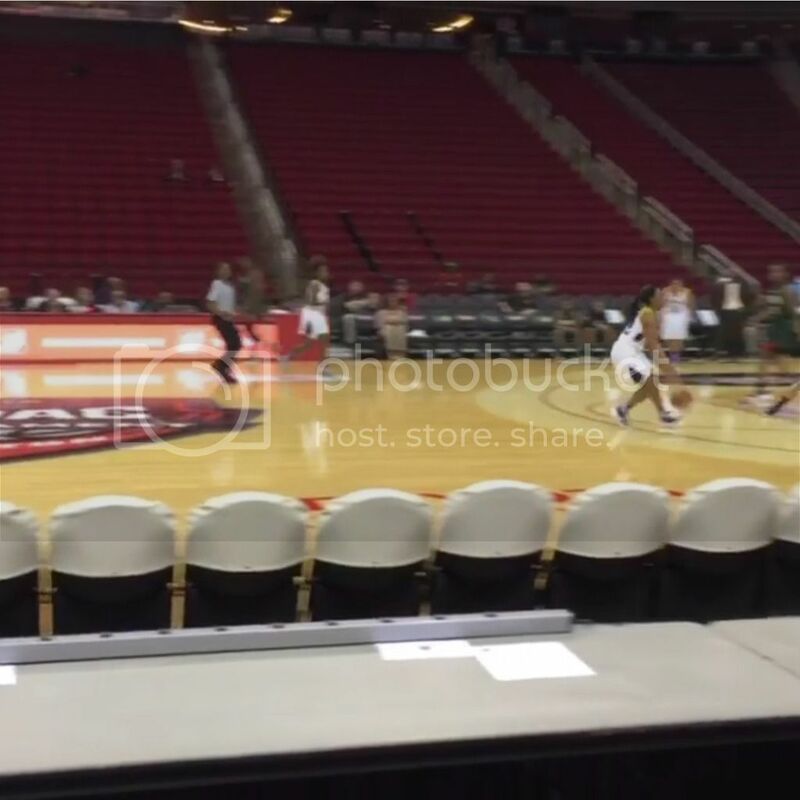 This is a BIG part of why SIAC tournaments are so dry. I for one am glad they lost. UK fans are the nastiest in all of collegiate sports. Some people have no chill smh... Just click the link. Not sure if I should find this funny or offensive but I'd be lying if I said I didn't chuckle a little at first. As terrible as that sounds. Paine College’s football team returned to the field in 2014 after being dormant for five decades. Now, the program is being shut down again. Several Paine players, including Lions freshman linebacker Harry Davis Jr., posted on Twitter about the program’s fate Friday evening. Davis confirmed during a cell-phone conversation he was told the news by the coaching staff about 8:30 p.m. A message left with coach Greg Ruffin was not returned. “It’s very devastating to all of us, especially on short notice,” Davis said. “It’s not even about the program, it’s about the players, my teammates. Everyone is distraught about it.” Davis couldn’t confirm whether expense is the main reason for the college shutting down the football program. 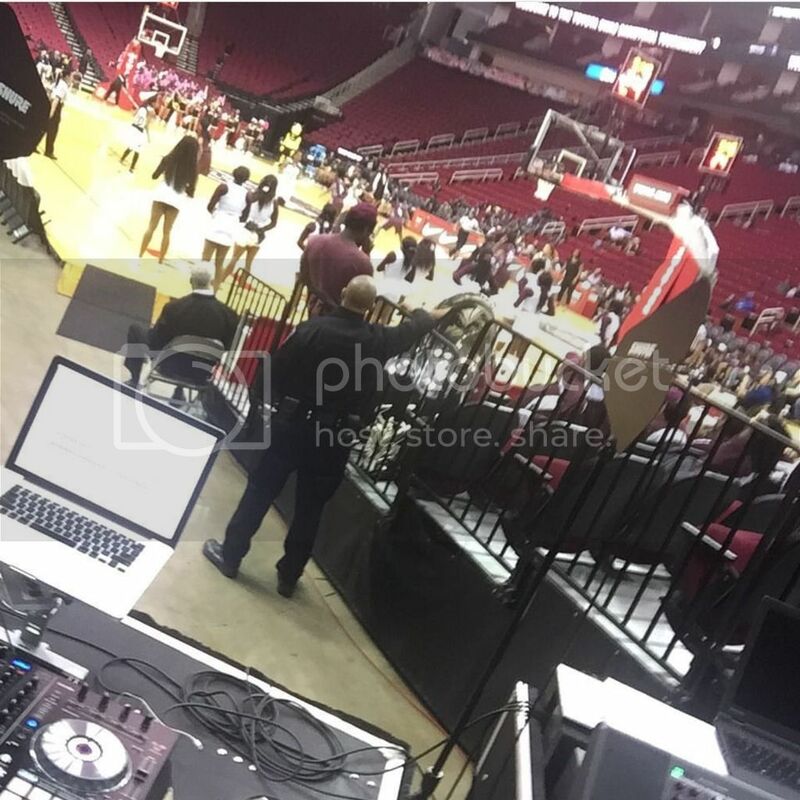 I kind of wish this happened more often in the MEAC and SIAC. Some of those bands like to play through just about everything going on on the field. This happened back in October, but I thought I'd share this anyway. 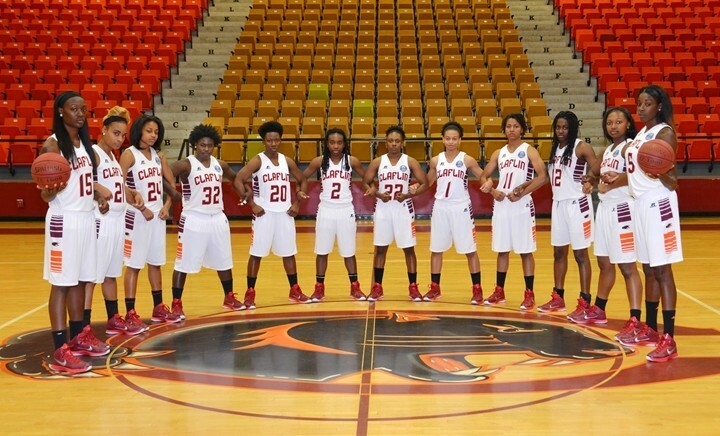 Orangeburg, S.C.—The Claflin University women's basketball team is tied for 8th in the South Region of the Women's Basketball Division II Media Regional Poll, sponsored by D2SIDA . The Lady Panthers, who are 5-0, are tied with SIAC foe, Benedict and West Florida in the poll. The 5-0 start is the best for Claflin since joining the NCAA. "This is great exposure for the program and the University," said second-year head coach, Deont'a McChester. "To receive such an honor is a testament to all the dedication and commitment of the young ladies and the coaching staff. Hopefully, this will help motivate us to strive for even greater heights." The Women's Basketball Division II Media Poll, sponsored by D2SIDA, is in its first year of existence. The regional poll is released every Monday, followed by the national poll on Tuesday. Each region has two representatives that comprise the poll. The national poll has 16 voters – 2 from each region. 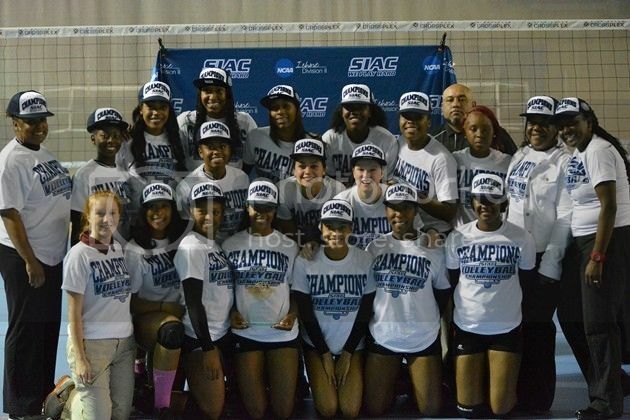 Birmingham, Ala.—The Claflin University women's volleyball team defeated Kentucky State, 3-1 (25-17, 25-15, 22-25, 25-15), to capture the 2014 Southern Intercollegiate Athletic Conference (SIAC) Title. With the win, the Lady Panthers improved to 22-12 on the season and will receive the conference's automatic berth in the NCAA Division II Championships. This is the first SIAC Championship for Claflin University. Head Coach Vernell Keitt-Capers was named the tournament Most Outstanding Coach and seniors Chelcey Foster and Caleen Hawkins were named the Most Valuable Player and Most Outstanding Setter of the tournament, respectively. Foster and Lydia Wise were named to the All-Tournament Team. Claflin advanced to the championship match by defeating Kentucky State in the semifinals earlier on the day. For the championship match, Foster recorded 15 kills with one block assist to pace the Lady Panthers. Wise put down 13 kills and Hawkins put up 42 set assists for the Lady Panthers in the win. Senior Courtney Person recorded her fourth double-digit dig performance of the tournament with 21. "We rode the back of our six seniors," said Keitt-Capers. "Four-of-six of them has been with us for four years and have won three SIAC East Titles and finished as runner-ups last season so it was really good to win the championship." Pairings for the NCAA Championships will be announced via the internet this Sunday.